8 and 1/2 weeks pregnant. That’s at least 2 weeks farther along than any of my other three pregnancies. 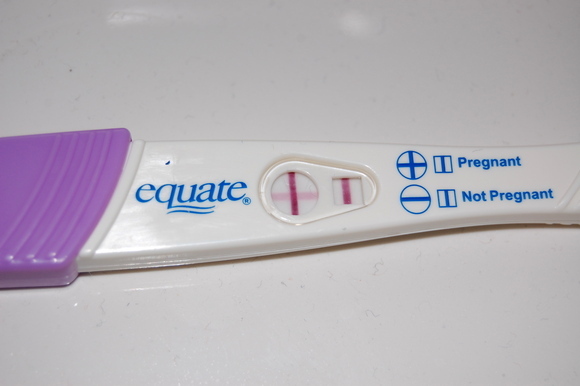 For those of you who have not been with me for long I have always been under a doctor’s care within days of getting a positive pregnancy test. As a result my u/s, blood work, and other pregnancy procedures have always started VERY early for me. As a result of this being a total surprise I didn’t even know I was pregnant until 7 and 1/2 weeks! To give you an idea of where I’ve been before… My last miscarriage began during week 6 of my pregnancy and I had been spotting for a full week prior to that. Hopes are high here in the Laube household and we have prayer warriors all over the country going to war for this little one! You are, of course, among them and we are so very blessed to have you with us for this journey. So here I suddenly sit… less than four weeks from the end of my first trimester! My first OB appointment will be next week so I’ll have more info for you then. FYI for fun… This puts my halfway or 20 week mark on January 19th and my due date on the 6th of June. That means this little ‘Laube’ster will be born in the month that Ryan and I celebrate our 10 year anniversary! How cool is that? Thanks to April for this awesome new ticker!!! All my love and thanks! AND I’M BLOWN AWAY BY YOU LADIES! Thank you so much for all your love, prayers, comments and squeals of delight!!! I will have oh so much more to say when I’m back! Well, I’ve been in Phoenix for almost three weeks and I haven’t had internet access more than a few times so I haven’t been on much. On top of that I’ve been sick… or so I thought. I’ve been exhausted, queasy, headachy, and dizzy… I’m was thinking flu and have been basically half dead the whole time. I leave at 4am tomorrow morning. I’ll be driving straight through to my parents cabin in Prescott, AZ (a measly 16 hours of driving) to stay for a few days before heading down into Phoenix to be with my sister as she has her first baby and to meet my newest nephew. The problem is this. I JUST got back on line! In the past few days something has happened to my laptop. My wireless card isn’t working at all. And unfortunately back in Phoenix and in Prescott the only networks available to me will be wireless. I may be able to hop on to someone else’s computer but unless something changes (or it turns out to be my network and not my card) I’ll be pretty much off-line for the next few weeks. I’ll do my absolute best to try and stay in touch! Take care and enjoy the onset of fall wherever you are!